Bristol is trying to move on from a cheating ex. The last thing she wants are roses, gifts, and suggestive notes popping up at her apartment and at work. When Bristol meets Mason—a charming and sweet guy who wants a chance with her—she’s convinced that he is the mystery guy trying to capture her heart. The thought fizzles when what appeared to be harmless turns into something much more terrifying, and Bristol realizes that Mason isn’t capable of such things—not in his position. Bristol’s secret admirer is determined to have her for himself, no matter what. Will she have the courage to fight? Hi all! 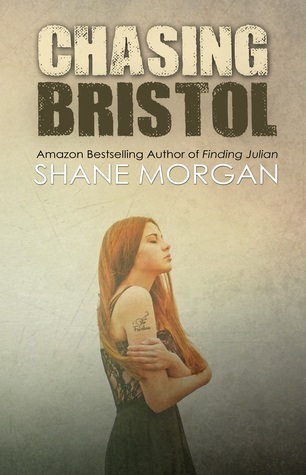 Back for a brief hiatus in studying to review Shane Morgan's newest release! You can read my review of her book Impossibly Love here. Thank you Shane for the opportunity to review your book! I haven't read Finding Julian, so I came into this novel not knowing what to expect- and so can you. The books in this trilogy can be read as standalones, though if you have the experience I had, you'll want to read the others! Chasing Bristol is the perfect bridge into NA for younger audiences (like me) and the perfect book with suspense for the fainthearted (also, unfortunately, me) therefore making it a book I can recommend to a lot of different people. Also, the girls featured in this book go through terrifying experiences but stay strong and resilient throughout, something I loved that makes Chasing Bristol a great read for those looking for brave and capable heroines. What I was worried about when picking up this novel was predictability. The majority of mysteries that I've read (granted, not too many) have had me rolling my eyes with their obvious-ness. I can happily announce that this happened with Chasing Bristol- because I TOTALLY FELL for the red herrings in the beginning(: However, don't come with too high expectations- your jaw won't drop, but it's not the person you guessed. To those of you in the Northern Hemisphere who have started/are starting/will start their summer vacation soon, have an amazing beginning of summer!